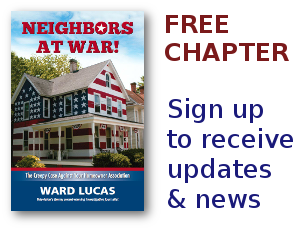 Foreclosures Archives - Page 216 of 216 - Neighbors at War! Another Reason to be SCARED of the HOA Experience! 5 Comments on Another Reason to be SCARED of the HOA Experience! A 40 unit apartment building in Titusville, Florida caught fire four years ago and most of the units were severely damaged. Obviously, all those in the building lost their homes. But the Bay Towers Homeowners Association is now foreclosing on dozens of displaced fire victims because they haven’t been paying their HOA dues. Apparently, even if your home is destroyed by fire, your HOA dues in some cases could technically go on forever! One homeowner, Mike McDaniel, acknowledges he owes $8000 in HOA dues. But he says he’s now being sued for $48,000 for a place he’s not even allowed to set foot in.